Digvijay Singh: My Speech Will Cut Congress Votes Watch Video: The pain of senior Congress leader and former Chief Minister Digvijay Singh has sprayed one more time. These days a video of Digvijay Singh has become viral. Digvijay himself is saying that the Congress votes are cut due to his campaign, so he does not go to the campaign. When he reached Jitu Patwari's house in Bhopal last year, when Digvijay Singh saw a crowd of workers outside the house, Jitu Patwari was given advice in front of everyone. In the viral video, Digvijay Singh is seen speaking to Congress Working President Jitu Patwari. In the video, Digvijay Singh is telling Jitu Patwari that if you do not work then the government will not be made. Digvijay, who is also scolding the ticket candidates, is saying that who got a ticket we have to make him win. Whether it is an enemy or not. After this, Digvijay is telling the reason for himself to stay away from the campaign, that the Congress votes are cut off by giving his speech. This statement of Digvijay Singh has come out in such a time when, for the past several days, Digvijay Singh has been keeping the Congress aside and ignoring him. On the other hand, during the course of every election, the BJP reminds the people of Digvijay Singh's reign. On Monday, Chief Minister Shivraj Singh Chauhan had targeted Digvijay Singh during his Janasharwad yatra. This time BJP has been making development issue on the electoral platform with the state compared to the reign of Digvijay Singh 15 years ago. BJP spokesperson Rajneesh Agrawal, reacting to this viral video, said that it is directly confessed to Singh that the mismanagement of Madhya Pradesh is responsible for his 'mischief'. 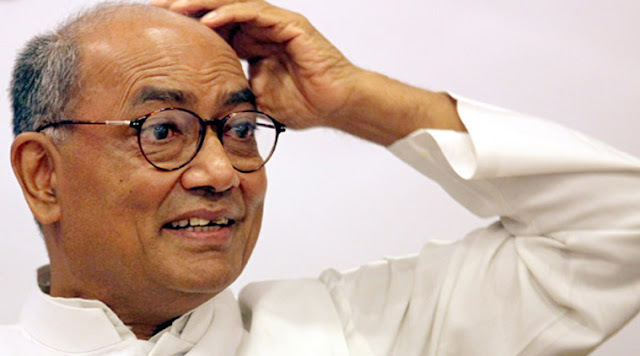 In the state from 2003 to 2013, the reign of Digvijay Singh was. In the year 2013, his government had suffered badly due to the problem of electricity, water, and roads, after which the Bharatiya Janata Party ruled the state.